However, that is NOT to say that you can not inject a good dose of country, into a city girl. Such, is the case with me. In the past 25 or so years, I have been exposed to the country life. And as such, I have gone from being the big chicken, to being the “bug killer, mouse catcher, snake nabber, frog rescuer, pooper scooper, deer feeder, mud slogger, and all-around-grunt”…. to name the short list. But. Growing up in the city, and from my interaction with experienced country folk, I had always heard chickens were dumb birds. 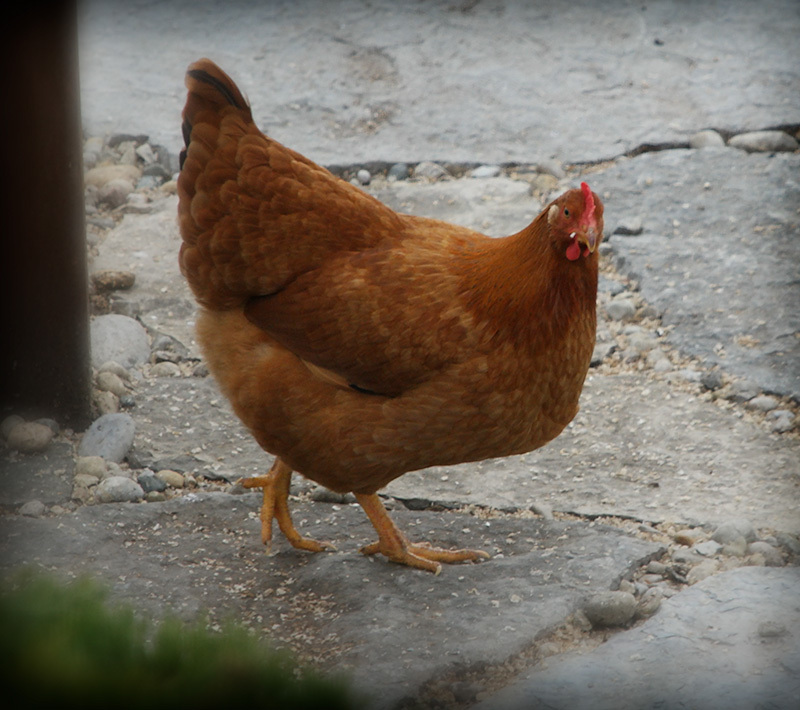 Then, I saw the movie… “Chicken Run” starring…. a bunch of chickens and a couple of roosters. And of course, Mr. & Mrs. Tweedy. Well. After seeing that movie, I realized the “dumb chicken” thing might just be a story. It turns out that I was right. It IS just a story. In the movie, Mr. Tweedy kept telling his wife that “Them’s chickens is organized, Mrs. Tweedy.” It turns out HE was right too. So. Now we have chickens. Smart chickens. And I too, think THEY are organized. Turns out, there is proof. In a recent slew of articles, from Scientific American, to The New York Daily News, to The Guardian, the reports are coming in. Chickens are smarter than a 4-year-old. 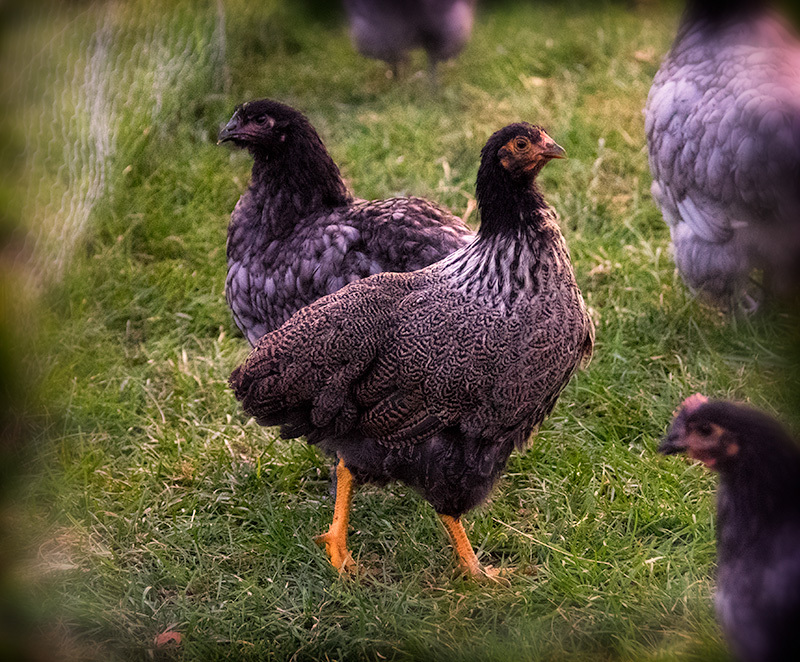 Chickens may well be the smartest animals in the barnyard. In some scientific tests, they outperform human toddlers. That’s right: In multiple tests of cognitive and behavioral sophistication, chickens outperform not just dogs and cats but four-year-old human children. (Source: Bristol University Dr. Christine Nicol). Today, I saw our chickens out at our bird feeders. Eating like crazy. When they looked up and spotted me in the window, I swear they looked like they were “Chicken Smiling” and the one actually gave me a “Wing Wave.” It was Dorothy, the Boy Chicken, to be exact. This evening, when I put them up for the night, I asked them about it. Dorothy, the Boy Chicken, again lifted his wing, this time to his beak, as if to shush me. I don’t think he wanted the rest of the chickens to know about the Bird Seed Paradise he and his girl Flo had found.